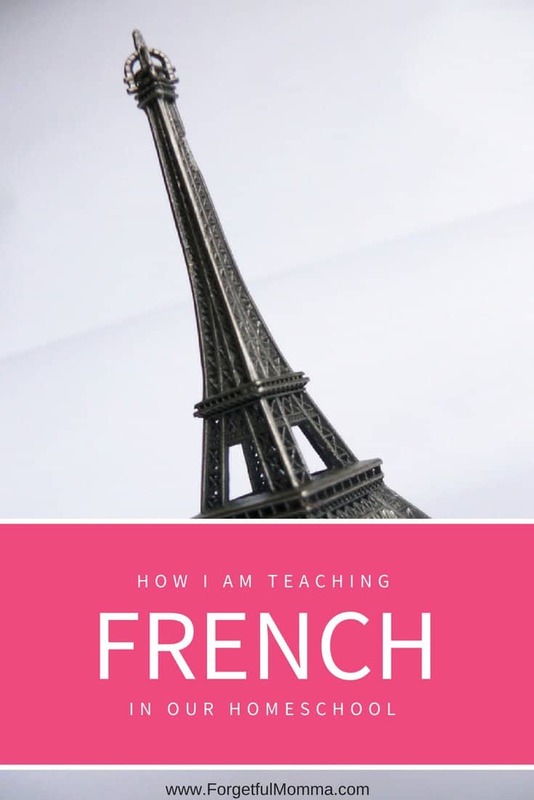 Homeschooling means that I have taken my children’s education into my hands, and that includes teaching them another language, learning French. Here in Canada the first language is English and our second language is French. Public schools teach French as a second language quite early on, or in some cases you can choose to put your child in French Immersion. Which means we are learning French in our homeschool this year, or relearning if you’re me. 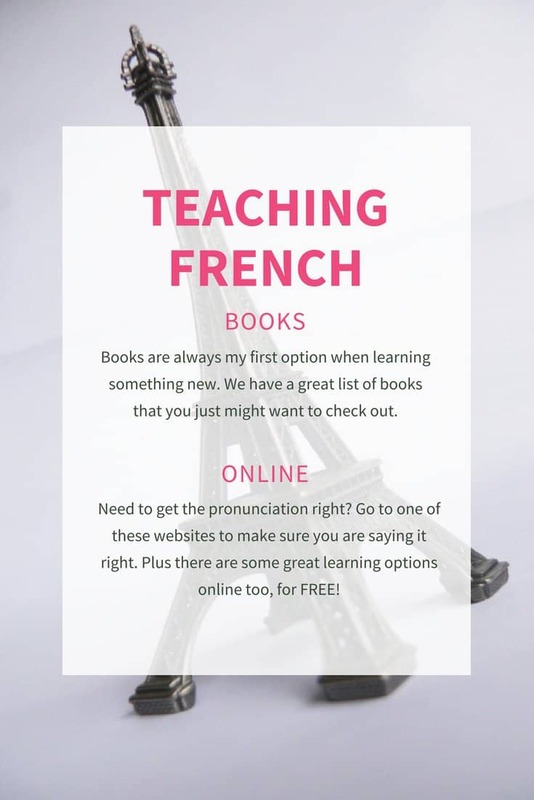 I attended an online homeschool conference and one of the speakers spoke about teaching your children french when you aren’t comfortable doing so. It was as if she was speaking directly to me. Her main piece of advice was just do it. A little here and there, and we’ll learn together. She said that your rusty high school french will come back, even if it does so slowly. After that I had no problem getting out the french books so we could start learning together. I wish I could remember who the speaker was to link to her. Because I am naturally drawn to books, we have gotten books from the library as well as bought a few. One book that I really like is The Everything Kids’ Learning French book. I had originally checked it out from the library, I really liked it, and knew that it was going to have to have a permanent place on our bookshelf. Why do I love it? Because not only does this book have the written french, the list of words are also written out phonically, as the mom struggling to remember french this is very, very helpful. There are not only pages to practice what they are learning written, but also fun activities like “look at this page in a mirror”. 52 Weeks of Family French – I’m excited to get started with this one! Small bite sized learning. After the Everything Kids’ book, our favorite French learning resource is Duolingo. A FREE website to learn not only French but other languages as well. My oldest is currently loving it. You choose how often you (or your child) wants to do it, and for how long at a time. It’s great for learning to speak and write/read another language. YouTube is full of great videos for kids to watch and learn from. That’s how my kids learned to sing the ABC’s in French. I could only remember half of it. We have been watching Monde des Titounis for the ABC song so we know how to pronounce the letters. Same goes for numbers and more. Flash Cards – You could also make your own flash cards, making them for the level of skill you and/or your child are at. Plus you can buy them already made for you if that is more your style, it’s more my style. If you are Canadian, because our french is different, just our sign language is different, you might want to check out these flash cards, they’re great! I these are what we’re using in our home. 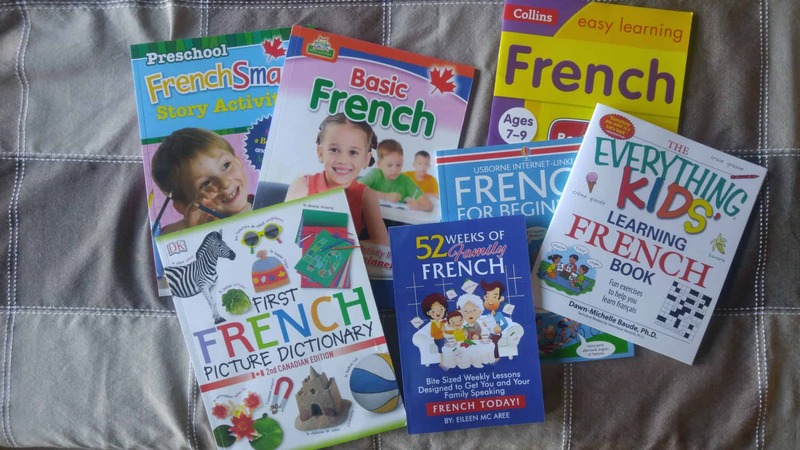 Rosetta Stone – We haven’t tried Rosetta Stone yet, but if my kids are interested in taking their french language learning skills farther than I can take them, then this is where I’ll be going for that help. Great resources! We get books from the library as well as the ones that come with CDS so the kids can hear it and read along at the same time. We also include French music CD’s in our homeschool every week.